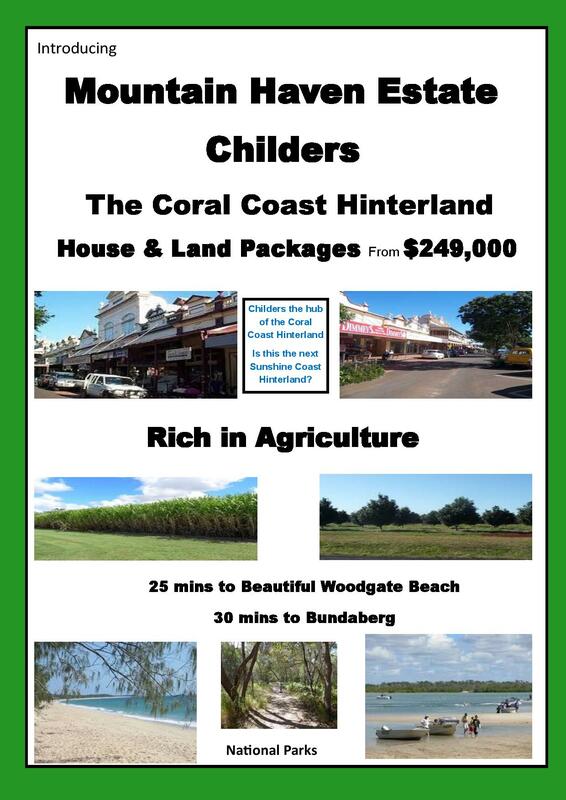 We are now taking expressions of interest for Mountain Haven Estate, Childers. A one off $1000 fully refundable deposit (if you do not end up going through with your purchase), is all you need to be one of the first to secure your place in this brand new beautiful estate. 4 bedroom 2 bathroom double garage just $249,000 is unbeatable value for money. DO NOT MISS OUT ON STAGE ONE PRICING call today!